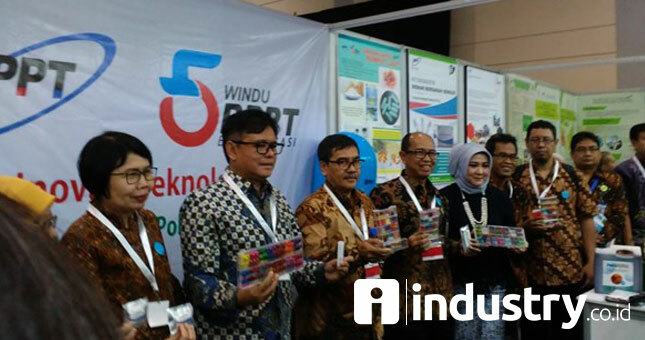 INDUSTRY.co.id - Jakarta - In addition to Dengue DBD Diagnostic Kit Innovation, BPPT also launched the Second Innovation, namely 'Seaweed Capsule Shell'. This second innovation was introduced by BPPT to the wider community. Capsule shells are one of the most important supplemental ingredients in the pharmaceutical industry. Head of Research and Technology Implementation Agency (BPPT) Unggul Priyanto said "Seaweed capsule shell is the first in Indonesia and the work of the nation's children". Jakarta Convention Center, Wednesday (4/4/2018). The formulation of capsules formulated from seaweed material is an effort to diversify the application of seaweed products processed in the country. Capsules that exist today are made from gelatin whose raw material is imported. "By using seaweed material that is very abundant and halal, this capsule shell product is expected to have high competitiveness economically and can be accepted by the user community,". Papar Unggul Priyanto Head of BPPT.